WHILE today marks one year since Daniel Morcombe's parents found justice for his murder, they still anxiously await a further ruling from Queensland's highest court. Brett Peter Cowan, 45, faces four possible outcomes when the Court of Appeal hands down its decision - expected any day now. Mother Denise - whose 13-year-old son went missing 11 years ago while waiting for a bus on the Sunshine Coast - unsurprisingly hopes the appeal will be thrown out. "I don't want to see his face or hear his name again. I don't want to think about it," she said. "It's just a waiting game. You feel on edge. Every couple of days you wonder how (the appeal is) going and wondering if it's going to be the next day and what the answer is going to be." Justice Roslyn Atkinson sentenced Cowan - who says he falsely confessed he killed Daniel to undercover police to impress the fake crime gang they set up to catch him - to life imprisonment. She set a 20-year non-parole period, five years above what was then mandatory for murder, but made it clear parole authorities should think twice before releasing him as she labelled him a convincing liar. The status quo could remain if appeal court president Margaret McMurdo, Chief Justice Tim Carmody and Justice Hugh Fraser dismiss both the sentence and conviction appeals. The Attorney-General could succeed in seeking a longer non-parole period on Cowan's life sentence, after arguing 20 years was not enough to protect the community from a man with a history of violent sexual assaults on young boys. 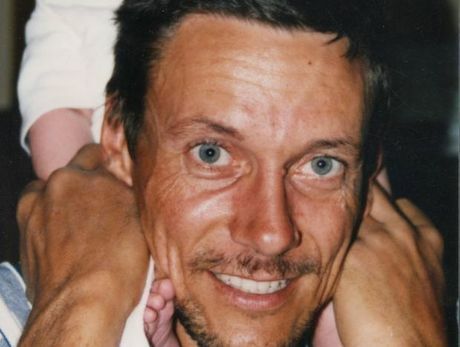 The justices could uphold Cowan's appeal that the trial judge erred in allowing the confession into evidence, which could result in an acquittal, or that the trial judge erred in directing the jury about an alternative killer the defence posed, which could result in a retrial. What the Morcombes fear most is that the confession covert police elicited from Cowan will be deemed illegal and he walks free. It has been nearly four months since the appeal court heard the arguments from each side. It is usual for parties to find out only the night before a judgment is going to be delivered. Daniel's father Bruce finds some of the possible outcomes "unpalatable" but said he was not nervous. "I'm anxious and I'm very much aware that we could expect a phone call any day," he said. "I'll leave the nervous side to Mr Cowan. "He needs to be nervous; he's still got 17 years to go and that could be extended. "I can see four potential outcomes the judges will hand down, there's different emotions and anxiety scales for each of them. "It's not our call. We just wait and observe and what will be will be. "But at the same time I have always maintained faith that the justice system will get it right." While the appeal has lingered in the back of their minds this past year, the Morcombes ensured they worked towards Daniel's legacy with gusto. They visited more than 50 schools and attended about 50 community events. 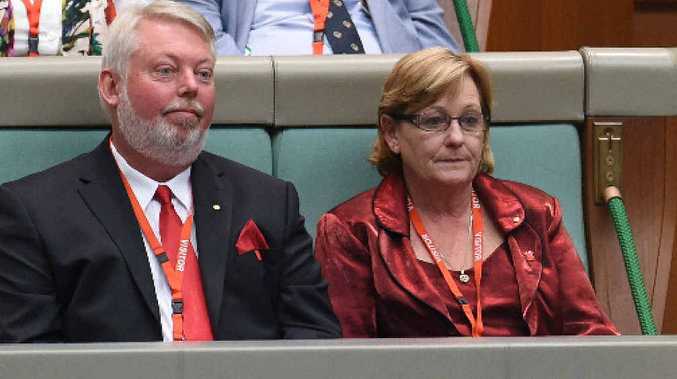 The Morcombes launched an educational DVD Keeping Kids Safe - which the foundation will supply free to all schools - and their dream for the Daniel Morcombe Child Safety Curriculum to go national is a step closer after a private phone call from Education Minister Christopher Pyne. They also released a book about their journey and revelled in Daniel's twin Brad getting married. That's on top of their trademark Day for Daniel walk and Dance for Daniel, which will be held this year in Brisbane next Saturday (March 21). "We don't let the potential appeal proceedings interfere with our daily work at the foundation," Mr Morcombe said.